The new Swedish noir by Anders Roslund and Börge Hellström is unusual in several ways. 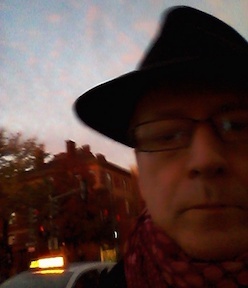 First, the running character around whom their crime series is based, Ewert Grens, isn't at the center of the novel; and Grens is probably the most thoroughly unlikable central character in any crime series. The idiosyncratic pair of detectives in K.O. Dahl's series come close at times, but are more sympathetic (to peers and readers than Grens, who drives everyone away who might become a friend. More about him in a minute. The character who is at the center of Three Seconds is the most unusual undercover operative I've come across in crime fiction, apparently a reflection of the real tendency of Swedish police to use criminals, rather than undercover cops, to penetrate criminal organizations. So Piet Hoffman, the "hero" of the book, is a snitch. We learn something about his motivations only very late in the book: for the most part, we can only see his sacrifices (paid off the books and not that handsomely; forced to lie to his wife and kids, and then to put them at risk). His criminal record is exaggerated by his handlers to give him street (and prison) cred, while he's actually a petty criminal whose background we know little about. Roslund & Hellström frequently write about prison and prisoners, and most of this book is about both the Polish mafia and the police striving to insert Hoffman, code name Paula, into prison in order to take over the drug trade (and, on the part of the police, attack the crime organization). Hoffman's preparations for prison are fascinating, approaching The Day of the Jackal in the intricacy of technical processes about which the reader can only guess the function. And the novel ticks along quickly until suddenly Hoffman needs to put his preparations into use, at which point (fair warning) the book shifts into very high gear, pulling the reader along compulsively. It's fascinating to watch the plot unfold, to find out what the "three seconds" of the title signify, and to follow the ultimate shift of emphasis from Hoffman to Grens. Readers will probably anticipate one of the final plot points, but it's nevertheless a pleasure to see it unfold. The story is very Swedish, in the sense that it turns upon a type of corruption that a number of Swedish crime writers have depicted, more so than some other nationalities of noir (not only Larsson but in different ways Sjöwall/Wahlöö and Leif G. W. Persson). Grens is here finally undergoing a process of grief, letting go of a wife injured by his own (inadvertent) actions and recently deceased after a very long sojourn in a nursing home. In the process, his obsession with a particular Swedish pop singer of an earlier generation is ever-present in his very renunciation of it (and her). Grens is almost at retirement, obsessive, solitary, aggressive, angry, and finally showing a few glimmers of humanity. 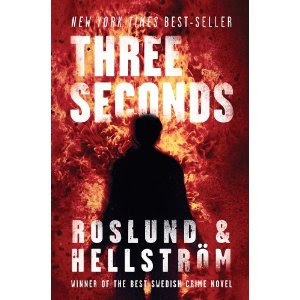 Three Seconds improves upon an already accomplished crime series, through its glimpses of Grens's life in transition and through the creation of an original character in Hoffman: plus it has an intriguing and involving plot. Don't be put off the book if prison stories aren't your "thing,": although the prison is at the heart of the book, it's not a prison book. And although it's a "thesis" novel, taking on a social ill as perceived by the authors, the story remains in the characters caught in nets of their own making, rather than in abstract principles. Great review, Glenn, so thoughtful and insightful. I found this book very exciting, but not only could I not sympathise with Grens (after his and sidekick's unforgiveable and ghastly actions at the end of Box 21) but I could not sympathise with Piet either - and I found the sections about his family too Disney-schmaltzy. And, does not some of the pre-prison planning depend on shaky certainties, eg the library books depends on timing and the prison letting him have those exact three books, etc. These are quibbles and overall I enjoyed the book very much indeed. But I would not put it in the all-time great category!